Essiac has become widely known for its remarkable ability to boost the immune system and detoxify the body. 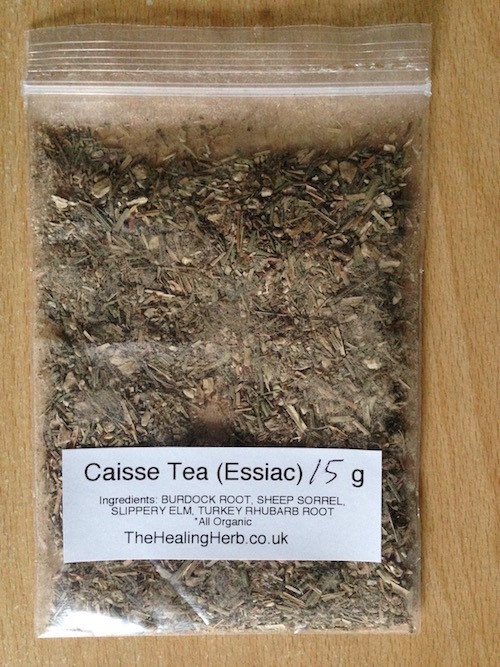 Many people who drink Essiac tea regularly report feeling healthier with less incidence of colds and flu. You don’t make it “by the cup” like other teas! Some others sell formula that are “based on the original formula” – Beware! On a fateful day in 1922 Canadian nurse Rene Caisse happened to notice some scar tissue on the breast of an elderly English woman. The woman said that doctors had diagnosed her with breast cancer years before. However, the woman didn’t want to risk surgery nor did she have the money for it. The English woman had met an old Indian medicine man in the 1890s who told her that he could cure her cancer with an herbal tea. The woman took the medicine man’s advice, and consequently she was still alive nearly thirty years later to pass on this herbal remedy to Nurse Caisse. “We the undersigned believe that the ‘Treatment for Cancer’ given by Nurse R.M. Caisse can do no harm and that it relieves pain, will reduce the enlargement and will prolong life in hopeless cases. To the best of our knowledge, she has not been given a case to treat until everything in medical and surgical science has been tried without effect and even then she was able to show remarkable beneficial results on those cases at that late stage. Dr. Frederick Banting, the co-discoverer of insulin became interested in Essiac and even offered Nurse Caisse research facilities to test it. According to Rene, Dr. Banting stated that “Essiac must actuate the pancreatic gland into normal functioning”. Even today diabetics are using Essiac to improve their condition and many have gone off insulin entirely. Essiac has become widely known for its remarkable ability to boost the immune system and detoxify the body. 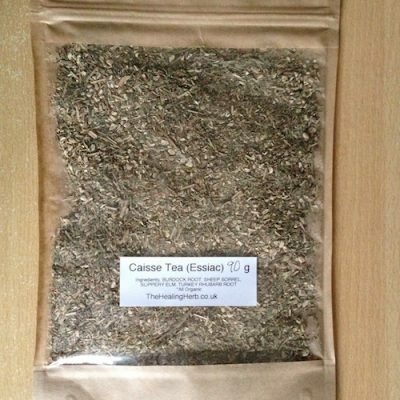 Many people who drink Essiac tea regularly report feeling healthier with less incidence of colds and flu. Burdock, for example, has a well-established reputation for detoxification and support of the liver and organs of elimination. The name “Essiac” is legally protected and may only be used by Essiac Products Inc, which bought the sole rights to the use of the name. The herbs and formula for the tea are, however, freely available. It has a pleasant, mild herbal flavour and is usually drunk at bedtime. 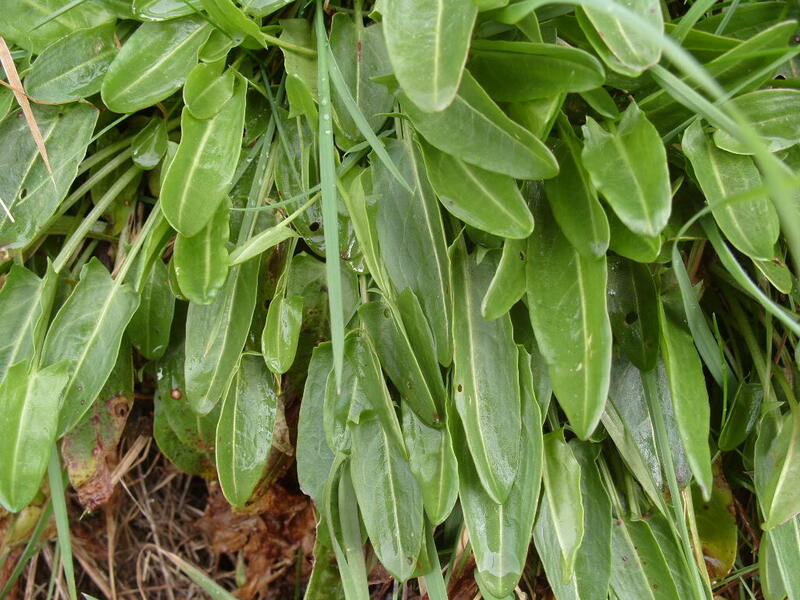 Sheep sorrel was regarded by Rene Caisse as having the most direct effect on health and is therefore a vital component of the herbal tea. Known as Gypsy Rhubarb in southern England, the tangy, slightly astringent leaves have been used traditionally to flavour salads and soups as well as stuffings and fish. And the whole plant has wide ranging therapeutic effects. Burdock forms one of the cornerstones of the Rene Caisse Herbal Tea: more than half of the dried herb mixture consists of ground burdock root. The roots (and seeds) have a long tradition of use in the herbal pharmacy and burdock is a favourite amongst herbalists, with very good reason. 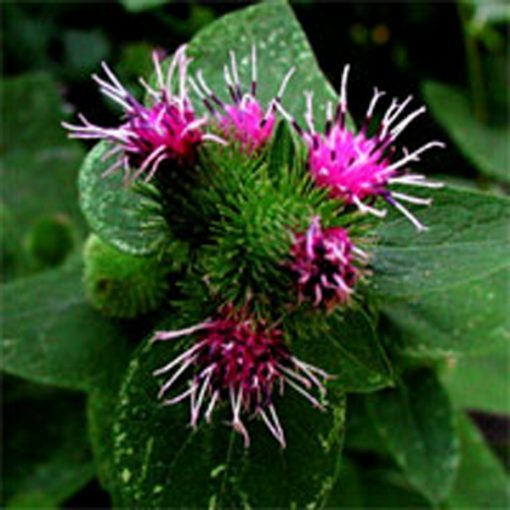 In the “essiac” formula, one-year-old burdock root provides a wide spectrum of therapeutic benefits, including blood cleansing and immune boosting functions. It has mild anti-bloodclotting activity. The herb also protects the liver and aids digestion and appetite by stimulating the production of bile. It is therefore also known to be a mild laxative and diuretic, helping to clear toxins from the body. By supporting the liver, it is particularly helpful for skin conditions such as psoriasis and acne and may be used topically as a poultice. It is antibacterial, anti-inflammatory and antioxidant and also aids kidney function, protecting against cystitis and gout. It can help to reduce coughing and fever, as well as regulate blood sugar levels. 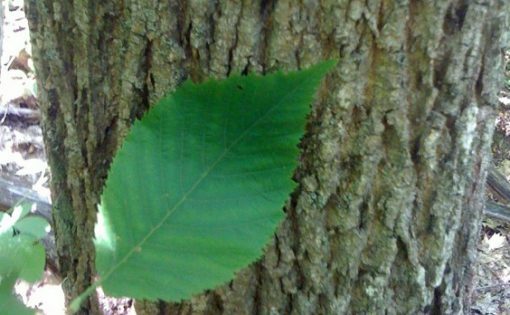 The inner bark of the Slippery Elm tree is an essential component of the Rene Caisse herbal tea, making up nearly 10% of the dried mixture. 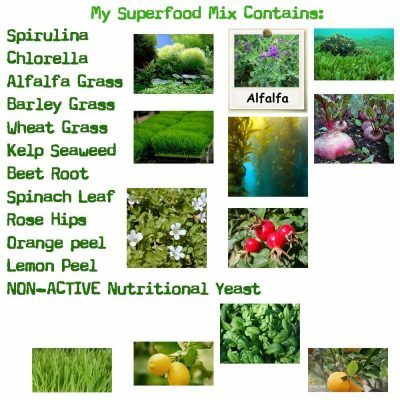 Finely ground, the powder has demulcent and anti-inflammatory qualities, helping to soothe the mucous membrane lining of the digestive tract, which makes it especially useful during chemotherapy. It is also useful for gastritis, enteritis, haemorrhoids and gastric or duodenal ulcers, as well sore throats. Its nutritious qualities make it a valuable food during convalescence as it is easily absorbed. It has gentle astringent properties as well and helps to ease diarrhoea. An excellent source of soluble fibre, slippery elm bark may help to reduce cholesterol levels, as well as bulk up the stool when constipated. 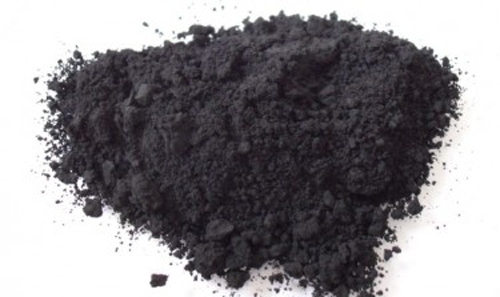 Externally, the powder may be mixed to a paste with water and applied to boils, ulcers and abscesses. In fact, the herb has an ancient history: in Culpeper’s day, it was mixed with vinegar or brine and applied externally to ease gout, or decocted and dabbed on to burns. Apart from its use in the herbal tea, the powdered bark may be taken on its own in warm milk or water: 1 teaspoon per cup three times a day. Because of its demulcent properties, however, it would be best to take it away from any other medication, food or supplement as it may delay or inhibit their absorption. And it is best to avoid slippery elm during pregnancy as the bark may stimulate labour. 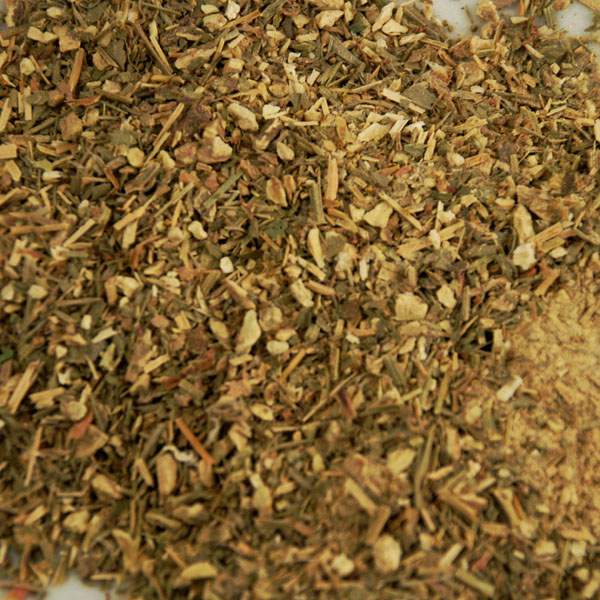 The dried, powdered root of Turkey rhubarb constitutes a small but significant part of the Rene Caisse herbal tea: only approximately 300mg are used in the 15g monthly pack. Also known as East India or China Rhubarb, it was originally imported from China and Tibet, but can now be grown and harvested locally. 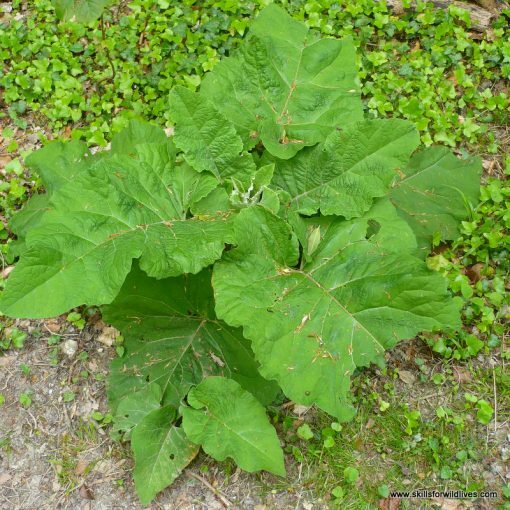 It comes from the same family as our native English rhubarb Rheum rhaponticum, which has similar if milder actions. Turkey rhubarb has bitter, astringent qualities and is known as an effective digestive stimulant and liver tonic. At varying doses, it can be used to treat both constipation and diarrhoea and therefore has a regulatory effect on digestion. It stimulates the appetite and promotes the flow of bile from the liver, thus optimising the action of digestive enzymes, reducing liver congestion and preventing the formation of gallstones. In Ayurvedic medicine, Turkey rhubarb is thought to reduce cholesterol, heal ulcers in the digestive tract, reduce gastrointestinal bleeding, including haemorrhoids, and clear tumours and toxins from the bowel. However, because of the anthraquinone constituents of Turkey rhubarb, it is contraindicated in pregnancy and breastfeeding. 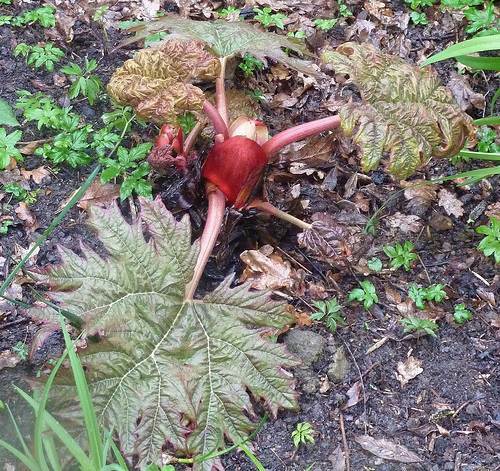 According to Thomas Bartram, Turkey rhubarb forms part of the ancient Sanskrit remedy, Soma, for courage, wisdom and longevity. Part 1 – Part 2 will play automatically.